In the competitive world of professional services, the fastest path to career success and financial rewards is clear: Become better at marketing and selling. Employers and CEOs are on record in survey after survey citing client development capabilities as a valued characteristic they seek when hiring and promoting. Think for a second about who gets the most respect, the best projects, and the biggest bonus compensation in your company. It’s the employees who bring in work, such as the project manager who finishes one project and starts the next right away with the same client, no RFP required; or the engineer who is in constant contact with his past and current clients. Ask Questions: Most people can only communicate through declarative statements, most often about themselves. Have we forgotten the power that comes from asking questions? Clients need to know you are interested in their problems, and should sense that you care enough to learn more about their business. The best learners are those who ask the best questions. Each time you speak with a client, prepare 3-4 questions in advance to help you know more about their business, their needs, and their lives. Master One Key Industry: Appoint yourself as the leading authority on a core client industry, and then take a crash course to live up to the new credential. Read everything you can find on the industry, talk to insiders, and get active in their professional associations. Find out who the key players are in the market, how the companies make money, and what changes are taking place that influence their hiring and selection decisions. Elevate Speaking and Writing Skills: We can improve vital communication skills at any age; it just takes practice. Enroll in a public speaking course, or join a local Toastmaster’s group, and watch the results kick in. Commit to becoming a better writer as well, either by taking a university course or by investing some time in a web-based writing improvement program. Seek Fame: Service professionals make their living by convincing clients that their knowledge and experience level exceeds the other guy. So back up your value proposition with some proof. By speaking to client groups, initiating a research project, competing for awards and writing articles, you can capture a better position than the competition. Make the Extra Call: Each day, pick up the phone and make one extra call to someone who can help you get the next sale. Those calls shorten new project lead times, show your prospects how much you want to work with them, keeps aging leads from rotting on the vine, and adds a sense of urgency to the sales effort. Even if you haven’t returned every project-related call yet, or checked your email for the hundredth time, you should stop and pick up the phone once a day for an extra call. Invest in your career by improving marketing and business development routines. When you do, you become the change agent, the prime performance example and the sought-after expert. When review and bonus time comes around next year, you can measure the results in the most tangible ways. Architecture, engineering, and construction firms have plenty of ways to spend money, but only one way to make it...through projects. 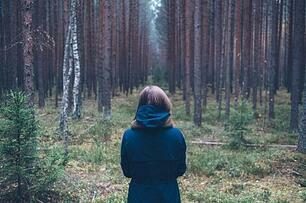 Your Project Managers are the gatekeepers to the firm's profits and long-term health. 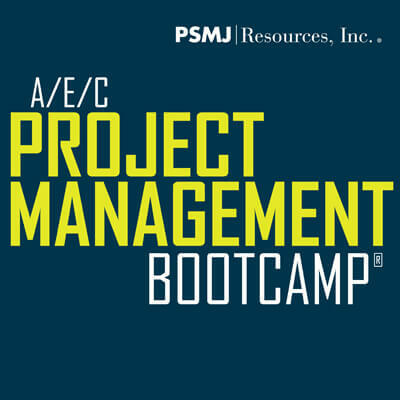 Unlike a generic project management training seminar, PSMJ's A/E/C Project Management Bootcamp is focused on real-world project management and it is delivered by proven project management experts.